Mama, I’m so glad you are here! Motherhood is quite the journey, am I right? You know, the one that worried less, took care of herself more, and seemed to skip through life with more joy and more ease? Where’s the energetic, creative, go-with-the-flow gal you remember? Well, Mama…you are not alone. Feeling this way in early motherhood is quite common, and it’s certainly not your fault you feel this way. But, what’s common shouldn’t be the norm. When you put yourself on the top of your to-do list, you AND your entire family flourish. And…It is possible to enjoy your motherhood journey and feel empowered in this phase of life. I am a Maternal Wellness Coach supporting exhausted mamas to get out of survival mode and into the flow of modern motherhood so they (and their families) can flourish with balance and ease. They drop the guilt and worry and finally find joy in motherhood. 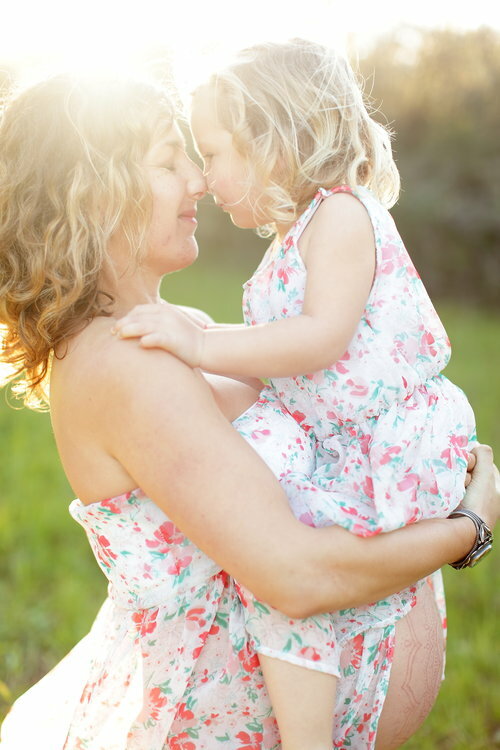 Kira is a Maternal Wellness coach who believes all mothers can come to recognize their innate wisdom and thrive physically, emotionally, and spiritually – and in the process create thriving families. Born into a lineage of warrior women and healers, Kira began reading countless books on holistic health & spirituality way before it was cool and long before her life experience actually required them. She is a now a recovering over-doer and former people-pleaser who values the art of be-ing and the power of authenticity in order to create a life of purpose and passion, joy and abundance. She empowers new mothers to find their own unique flow in motherhood and flourish. Sign up for the Mama Museletter and get immediate access to Lunar Energy Flow, a free resource designed to help you maximize your energy with the moon cycle and seasons! MamaManifest believes that all mothers are powerful creators, tuned into ourselves, our children and the energy that connects all beings. We seek to empower mothers to trust their innate wisdom and know their true essence as divine mothers, both wise and wild. We are conscious parents who want our children to retain their sovereignty, all while reclaiming ours. We know we are raising a generation of healers, and we must heal ourselves and our ancestral wounds for our children. We connect mind-body-spirit to create a life that inspires and excites us, because we want to live by example. We are whole. We remember our inner child, and seek to embody her playfulness and wonder at life. We don’t want to wait until our children start grade school, or go to college to be ourselves again. We want more out of motherhood and we know we are worthy of it. We understand that by chasing our dreams, leading with compassion, and parting with patriarchal conditioning we are refueled and ignited for our many roles as nurturers, creators, goddesses and warrior women. We know we must parent from being in alignment with our Truth and rise up into our fullness as is our birthright. We are grounded in the earth yet guided by the stars. We are vibrant yet peaceful, resilient yet unapologetic, seeking joy and freedom as the foundation by which we live. We believe we really can do it all when we set the intentions, albeit over many moons and ever-changing seasons. Kira and I met earning the same degree in college. Nine years later the universe reconnected us on a mama to mama level. She showed up and supported me when I was in need and I am forever grateful. We have spoken about motherhood on in a way I haven’t experienced before. Kira has helped me understand the postpartum time and the steps to find balance as a working mother. Her experience and passion to help mamas make her a great mentor for all of us. Calling all women, both conscious and wise! Are you craving deeper, more meaningful connection within a like-minded community? Does the hustle of modern life have you longing for rhythm and ritual?